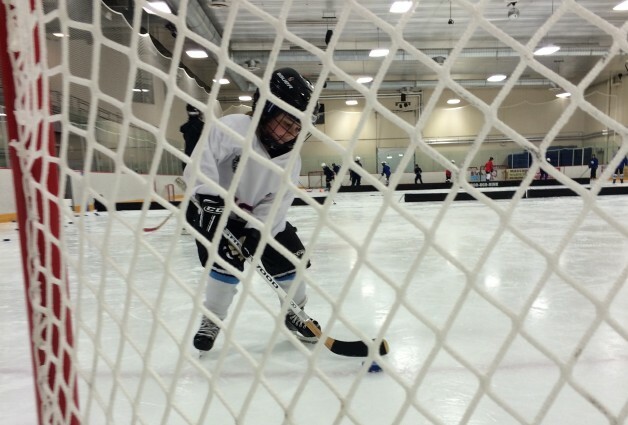 By and large, hockey is generally seen as primarily (and sometimes solely) as a boys sport. There is no women’s league that generates the level of coverage that the NHL does, nor is there as much college hockey coverage as there is for men. But one Denver program is doing its best to try change the way of thinking when it comes to girls hitting the ice and playing some puck. The new Girls Stick With It program aims to help girls who might be interested in playing hockey to get on the ice and try the game out without the burden of a heavy up-front cost that is normally associated with the sport. Slavin knows plenty about opportunities, or lack thereof. Growing up, there wasn’t the number of girls programs that are available today. She played hockey with the Colorado Thunderbirds, a boys AAA organization, before joining the upstart Colorado Select girls organization. From there, she played Division I college hockey at the University of North Dakota as well as with the USA Under-18 Team. She developed a passion for the game at a young age and now looks to help girls ranging from 5-15 years old to get involved as well. The event will be held over six weekends, with three coming before Christmas and three coming after. The confirmed pre-holiday dates are Nov. 21, 28 and Dec. 19, with each session starting at 3:30 p.m. Each session will be held at the Denver Coliseum. Slavin said she expects to see girls make their way from Pueblo and Greeley and is also hoping to get some participants from the mountain towns, but understands the struggles that may come with that. But the most important part of any program such as Girls Stick With It is to make sure that those who are interested stay involved. Slavin thinks that the majority of the girls who are coming to try it out are already interested in hockey so it wouldn’t be surprise to see a high percentage stick with the game.